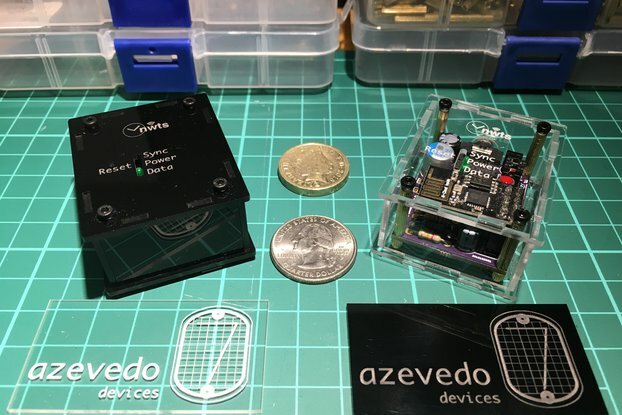 This is a kit for a clock shield for ProMini (Arduino-compatible mini board). 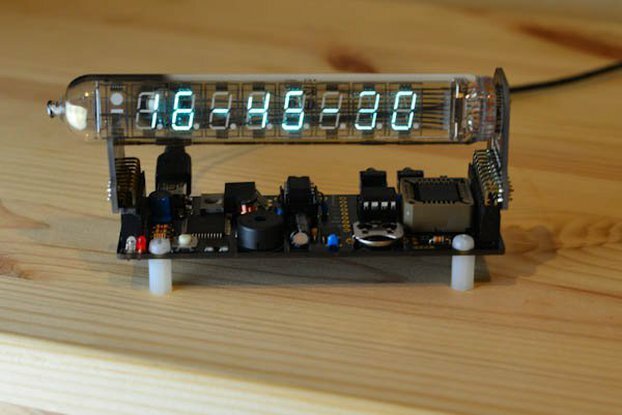 Time is displayed as HH.MM, with a flashing dot, on a 7-segment bubble LED display. The clock is based on DS1307 RTC, with an-board backup battery. Hours and minutes are set by pressing the two buttons respectively. 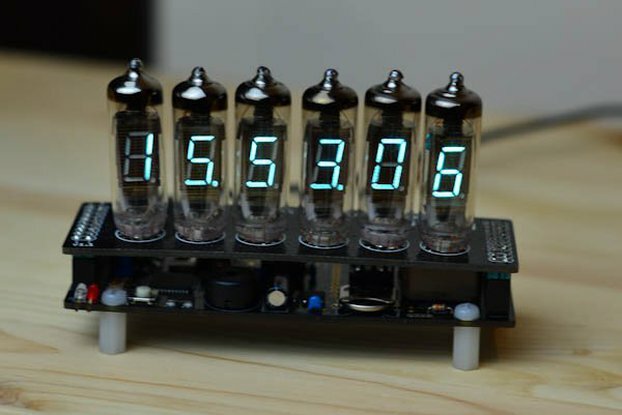 This is the only clock kit I know that uses the bubble 7-segment display. Since most of the components are SMD, it should be a good introduction to SMD soldering. Small clock gadget, possible to power directly from a 3.7V LiPo battery. Current draw is 15mA on average (including the ProMini, without the 2 LEDs on-board). There seem to be more than one kind of ProMini. This shield requires the kind that has A4 and A5 as shown in the last photo. Updated 9/9 - Within hours of writing my original review, the board creator updated the Source code link to provide the missing files. The code built without problems, and the board works great. Thanks, FlorinC! I've updated my review.. The hardware on this board is well-designed. Although I'm not experienced at SMT soldering, I found it relatively easy to do on this board, since the board layout provides plenty of room. The Source Code link provides all the files you need to build the project - no need to go hunting for libraries to download. Overall, nice hardware design, fun build, and that bubble display looks even cooler in person! I fixed the software link, uploaded all required files.